Motivated Seller! Make unforgettable memories in Aruba each year! Buyer May Receive A Title Fee Credit, Inquire For Details! Motivated seller! Explore Aruba during gold season week 49! Buyer May Receive A Title Fee Credit, Inquire For Details! 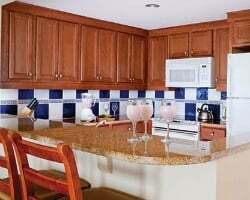 Ideal location just steps from the beach! Floating, gold week! Buyer may receive a title fee credit, inquire for details! Ocean view in beautiful Aruba! Buyer may receive a title fee credit, inquire for details! Snorkeling, spas, casinos, entertainment & more! Floating week! Garden view w/ partial ocean view. Buyer may receive a title fee credit, inquire now! Enjoy fantastic Aruba vacations every year in the floating gold week of your choice! Buyer may receive a title fee credit, inquire for details! Relaxing resort set right on the beach! Floating, platinum week of your choice! Inquire for more details! Luxurious resort on the white sand beaches of Aruba! Buyer may receive a title fee credit, inquire for details! Beautiful resort on the luxurious white sand beaches of Aruba! Gold season! Buyer may receive a title fee credit, inquire for details! Stunning vacation destination only steps from the beach! Floating, gold week! Buyer may receive a title fee credit, inquire for details! Great resort near casinos, live entertainment and more! Floating, gold week! Buyer may receive a title fee credit, inquire for details! Ideal location just steps away from the beach! Floating, gold week of your choice! Inquire for details! 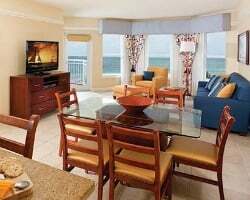 Luxurious accommodations with an ocean view! 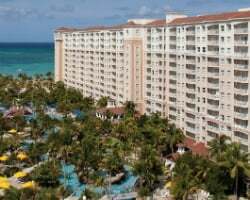 Perfect resort for your Aruba vacations! Buyer may receive a title fee credit! Come explore this beachfront Caribbean paradise! Floating gold season week! Buyer may receive a title fee credit, inquire for details! Booked week this year from 11/06 to 11/13! Ocean view villa! Floating gold season week! Buyer may receive a title fee credit, inquire for details! Floating gold season week at this luxurious Aruban resort! Perfect for relaxing & fun vacations! Buyer may receive a title fee credit, inquire today! Prime location right on the beach! Exciting activities available onsite and nearby! Owner willing to offer bonus destination points with sale! Floating gold season week at this luxurious Aruban resort! Ocean View villa! Floating Gold season week in an Ocean-view suite! Price is negotiable! Gold season week with an outstanding ocean view! Luxurious resort with breathtaking views! RTU until 2061! Buyer may receive a title fee credit, inquire for details! Annual floating, gold season week! RTU until 2061! Buyer may receive a title fee credit, inquire for details! RTU until 2061! Annual gold season, floating week! Buyer may receive a title fee credit, inquire for details!